My husband and I are extremely happy with your services. We like the fact that you are knowledgeable and attentive to all our needs. We have had a few financial planners in the past but once we started using you, we realized what a good financial planner is supposed to do. Term life insurance is a specific type of life insurance, which provides maximum coverage at minimal cost. Term life insurance provides protection for a specified period of time, known as the "term" of coverage - typically 10, 15, or 20 years. For millions of Canadians, term life insurance enables them to "stretch" their insurance dollars during times when their need for emergency funds are high - such as covering loans & mortgages, providing for childhood education, and income replacement for spouses. The person to be insured selects the coverage term, and a death benefit is paid to the beneficiary if the insured dies within a specified period of time while the policy is still in force. 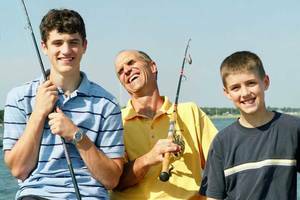 Term life insurance works well for people who need coverage for a specific period of time; for example, when a child is born a parent may take out a 20 or 25 year term life policy on themselves to ensure that in the event of their death, the child will be provided for through his or her college years. Have a temporary or short-term insurance need, such as an outstanding loan or minor children at home. Need additional life insurance, and want to obtain it for the lowest possible initial premium outlay. Term life insurance provides pure life insurance protection. If you die during the term of your policy, your beneficiaries will receive the death benefit you selected. At the end of the term, the policy expires without value. Many policies can be renewed (at a higher rate based on your attained age) at the end of the term. For a free, no-obligation quote, please click here.